Morocco is moving on a fast track development after joining the high-speed rail club. This achievement gives the country more confidence and all the motivations to look with pride and upbeat to the future. 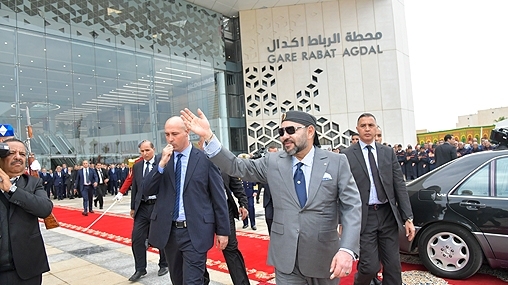 On Saturday, King Mohammed VI launched major railway projects, two days after the inauguration of the high-speed rail line connecting the cities of Tangier, Kenitra, Rabat, and Casablanca, Morocco’s major industrial and economic hubs. The Moroccan government and businesses praised the TGV project as a key achievement in developing the country’s infrastructure to showcase its progress and attract more foreign investors. For its part, the French presidency hailed the railway line as a “flagship project” of the Moroccan-French relations, which are based on a solid partnership as the new TGV trains are made by French group Alstom. The other railway projects launched by the Sovereign on Saturday cost the North African Kingdom over $1.1 billion. They include the construction of a triple track on the Casablanca-Kenitra Line, double-tracking the Casablanca-Marrakech railway line, the high-speed train stations (Tangiers, Kenitra, Rabat-Agdal, and Casa-Voyageurs), in addition to the new railway stations of Oujda and Benguerir. These projects, spearheaded by the Moroccan Sovereign, will enable the country to modernize rail transport sector and infrastructures, improve connections between cities and enhance the country’s economic attractiveness. A new generation of railway stations were built with a modern touch, contributing to the regeneration of the cities of Tangiers, Kenitra, Rabat, Casablanca, Oujda, and Benguerir. These platforms include facilities as waiting halls, ticket offices, information desks, access for disabled persons, ATM machines, food, drink and shopping outlets. In the past five years, Morocco’s investment in railway sector grew sevenfold which helped the state-owned railway operator ONCF to upgrade and modernize the country’s rail transport system. The rapid growth of the Moroccan railways comes within the frame of the global royal vision seeking to speed up the development of the transport sector, capitalizing on the country’s geostrategic position and promising economic growth. The launch of a high-speed rail line (Al Boraq) is part of Morocco’s wider plans to expand the roads and highways networks, and upgrade ports and airports to stimulate economic activity. 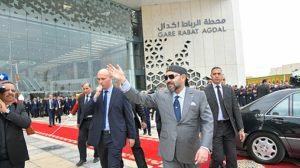 Under the leadership of King Mohammed VI, the Moroccan government continues its political and economic reforms, combined with sustained efforts to improve the business climate in a bid to attract more foreign investments and create more jobs. Written by: Jaber Ali on November 18, 2018. Posted by Jaber Ali on Nov 18 2018. Filed under Finance, Headlines, World News. You can follow any responses to this entry through the RSS 2.0. Both comments and pings are currently closed.